Welcome to our Live Gemstone Sale how-to page! 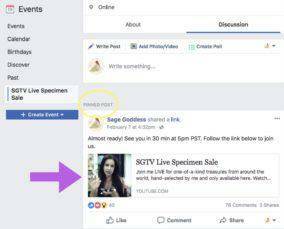 Every second week, join me for our live YouTube event for one-of-a-kind magical treasures, hand selected by me, and only available here. 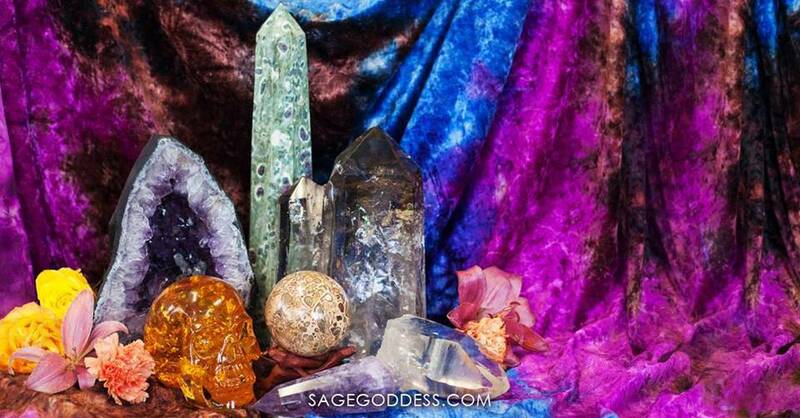 Join us as we come together as a community and learn about unique, rare offerings and their deep metaphysical properties. Aren’t you excited to add these unique pieces to your own collection? View our events page here to find our schedule; and if you have any questions about accessing the live YouTube event, read our step-by-step guide below. RSVP on our event page to receive notifications and let us know that you are attending. To RSVP just click the “Going” tab at the top of the event page. On the day of the event, we will post a link to our YouTube video in the event page an hour before the event goes live. This link will be pinned to the top of the event page under the “Discussion” tab. On your desktop, the chat box is located to the right of the video screen. You must be signed into your YouTube account to participate. On your mobile device, there will be an arrow with the words “Top chat” at the bottom of your screen. Click this tab and the live chat will appear. You must be signed into YouTube to comment. You must wait until we list the name and price of the item before commenting. Winners will be selected on a first comment basis. They will have to say SOLD and name the gemstone specimen they want to purchase. Winners will be announced after each bid and tagged in the Live chat. 5.) Winners will then be sent an invoice from SageGoddess.com, which must be completed in 24 hours. To receive an invoice make sure you have updated your account information and added your social handles. 1) Visit the “My Account” tab. 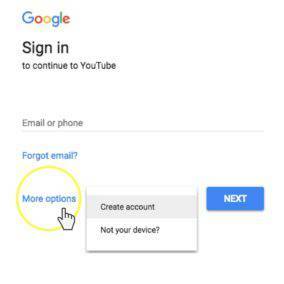 3) Add your YouTube account name to the designated area. Remember, chat speeds are based on internet connection. What you see on your feed may be different from mine. If your video is buffering or the chat doesn’t match the video, refreshing may help. We also ask that you please type the item name exactly as Team SG types it. We will post short titles so it is easier for everyone to type and identify the item sold. Once the LIVE sale has ended, our event moderators will post a full list of all the items sold alongside the name of the winner. In order for event moderators to be able to tag and notify the winners in the post, winners must have RSVP’d to the event page. Thank you for your participation! 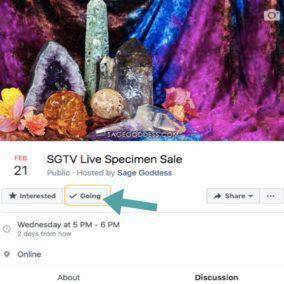 We hope to see you at our next SGTV Live Gemstone Sale.